The New York Times’ Arts Beat Blog reports that the Metropolitan Museum of Art is extending the hours of the wildly popular Costume Institute exhibition Alexander McQueen: Savage Beauty, which opened on May 4th. The exhibit, which I saw a couple of weeks after it opened and was completely wowed by, was originally due to close on July 31st but it has been extended through August 7th due to overwhelming demand. Starting July 22nd The Met will allow members to enter the museum at 8:30 AM, an hour before the show opens to the public, via the museum’s 81st Street entrance and 80th Street garage. Additionally, from August 4th to the 7th, the exhibition will remain open until 9:00 PM, and hours for the show are now offered on Mondays, when the museum is generally closed to the public. Monday tickets, which cost $50, are available at the Met and on its website at This Link. According to the Times, over 440,000 people have come to see the retrospective of the British fashion designer’s outrageous Haute Couture since it opened in May. 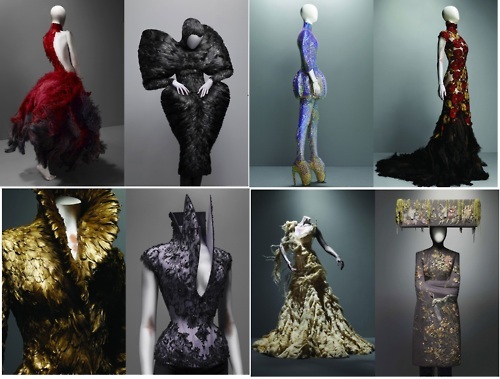 Alexander McQueen committed suicide last year at the age of 40, but the Savage Beauty of his work lives on. ← What Works: An ArtStar Pop-Up Exhibition to Open for Three Days Only!